Transform your life by speaking God's Word. Did you know that you can change your life by changing your confession? God's blessing has been made available to every one of us but whether we will experience it is another matter! 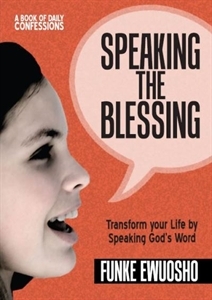 Speaking God's Word over our lives on a regular basis will enable us to walk in the reality of the blessing. This powerful book of scripture confessions will help you to get started on the road to experiencing transformation in every area of your life.